Tennis Break Personal Checks - It is time to get out and play a game of tennis! Remember these each time you open your checkbook with these fun and delightful Tennis Break Personal Checks! Take Me Out to the Ball Game Address Labels have the national game of bat-and-ball with four images, including the baseball field, the baseball glove, the baseball, and baseball bat. Take Me Out to the Ball Game Personal Checks have the national game of bat-and-ball with four images, including the baseball field, the baseball glove, the baseball, and baseball bat. 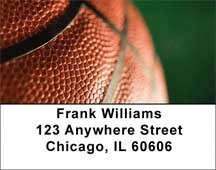 Golf Labels - These professionally photographed golfing Address Labels are teed up and ready to drive! If you love the game for the game, and not just pretty scenery and the glory of gold, these are the Labels to spread your message! Golf Checks - These professionally photographed golfing personal checks are teed up and ready to drive! If you love the game for the game, and not just pretty scenery and the glory of gold, these are the checks to spread your message! Polo checks- The U.S Polo Cup may be bankrupt, but you can still enjoy the game! These fun polo photographs capture the elegance and excitement of the game, and you will be able to share your passion for polo with others.